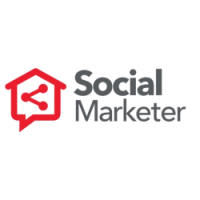 The Social Marketer Designation is designed with an emphasis on creating a strong social marketing strategy relevant to your real estate business. This is newly revamped online learning program is offered at no additional cost to you. The Social Marketer Designation courses are not a step-by-step learning tutorial on how to create a Facebook, Twitter, Instagram or Google+ account. The Designation focuses on creating an engaging strategy. Develop a strategic approach to using social media in your marketing mix. Differentiate yourself: use the Social Marketer logo in your marketing materials, listing presentations and on your website to showcase your online presence and drive business. Leverage social media to build and deepen relationships as well as expand your sphere of influence to optimise repeat and referral business. Complete the modules and associated quizzes with a passing mark of 70%. Send us a screen capture (or a link) of your engagement on Social Media via email to learningservices@royallepage.ca. Use the #rlpsmd hashtag in an online communication.